Janet Contursi has been a writer and editor for more than 23 years. She has written for professional journals and newspapers, and has experience editing educational, cultural, and business articles and books. Her clients include Gale Publishers, Anaxos, Vielife and Twin Cities Wellness. Contursi earned her Ph.D. at the University of Minnesota, where she studied cultural anthropology, South Asian languages and culture, and art history. Nasal polyps are small benign growths in your sinus cavities. They may develop if you’ve had chronically inflamed sinuses due to asthma, allergies, recurring infection or sinusitis. If they grow large enough, they may cause breathing difficulties and infections. 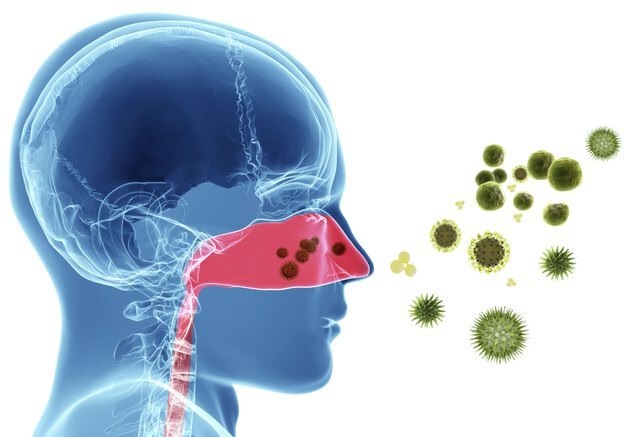 Symptoms of nasal polyps can include postnasal drip, headaches, stuffy nose, itchy eyes and snoring. Herbs may help relieve nasal polyps naturally. Consult your health care provider before starting herbal treatment. Herbs for nasal polyps work in different ways. Anti-inflammatory herbs will reduce the inflammation in your nasal passages and sinuses. Antimicrobial herbs can help fight any persistent infection that may be causing your polyps. Check with a qualified practitioner for advice about dosage and preparation of herbal remedies for nasal polyps. Xanthium, or Xanthium sibiricum, is an East Asian herb also known as “cang er zi” and “fructus xanthi” in traditional Chinese medicine, or TCM. Healers use the dried bur to treat rhinitis, sinusitis, nasal congestion and nasal polyps. In her “The Holistic Herbal Directory,” herbal consultant Penelope Ody recommends xanthium to clear wind and dampness -- the TCM explanation for nasal polyps -- and to open sinus passages. Xanthium is an ingredient in “Bi Yuan Wan,” a TCM formula for shrinking nasal polyps. Do not use this herb if you have diabetes or allergies to plants in the Aster family. Goldenseal, or Hydrastis canadensis, is a North American perennial with a long history of medicinal use. Herbalists use the rhizome and roots to stop bleeding and diarrhea. The herb is rich in isoquinoline alkaloids, which are potent antimicrobial and anti-inflammatory chemicals. Herbalist Christopher Hobbs recommends cool goldenseal tea used as a snuff, or inhalant, for nasal polyps because it will act on infected mucous membranes and reduce inflammation. Goldenseal may affect the uterus, so do not ingest it if you are pregnant. Cayenne, or Capsicum annuum, is a red chili pepper found throughout North and South America. Herbalists use it to stimulate circulation and strengthen capillaries. The pepper is rich in a chemical called capsaicin, which has anti-pain and styptic actions. A study published in the March 2000 issue of “Acta Otolaryngologica” found that an application of capsaicin sprayed into the nasal passages shrunk polyps in patients with severe sinonasal polyposis, allowing them to breath more easily. Cayenne may cause irritation if not diluted enough. Can Chamomile Tea Help With a Stuffy Nose & Cough?